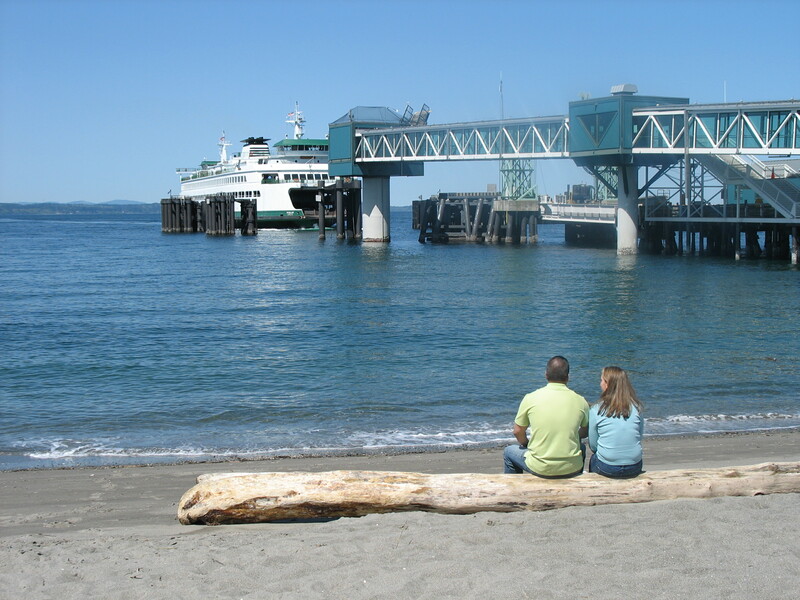 Chinook’s at Salmon Bay – located at the Fishermen’s Terminal in the Magnolia area of Seattle. The Terminal houses hundreds of commercial fishing vessels. It is a favorite for those looking for an open air, light feel and the energy creates a great atmosphere. Chinook’s offers seating on their outdoor patio as well which is exceptional during the summer months. Although windy this time around, it still made for a good time. Recommendation: Half Shell Oysters, Oyster shooters, Hearts of Romaine with Blue Cheese, and the Chinook’s Cannery bread is to die for. Paired with a brew, it makes for a tasty dinner indeed as Anthony’s and Chinook’s has a great selection of Northwest beer and wine. I can’t recommend the other items had but can say that they have a good menu selection and in the future would like to try their Fettuccine (as I saw it on the line as we were leaving). Chinook’s offers Happy Hour in the bar and on the patio and is a great value. Fisherman’s Breakfast is served Saturday and Sunday mornings starting at 7:30 am. All you can eat Fish ‘n Chips starts at 4 pm on Mondays. Seating is taken on a walk-in basis. 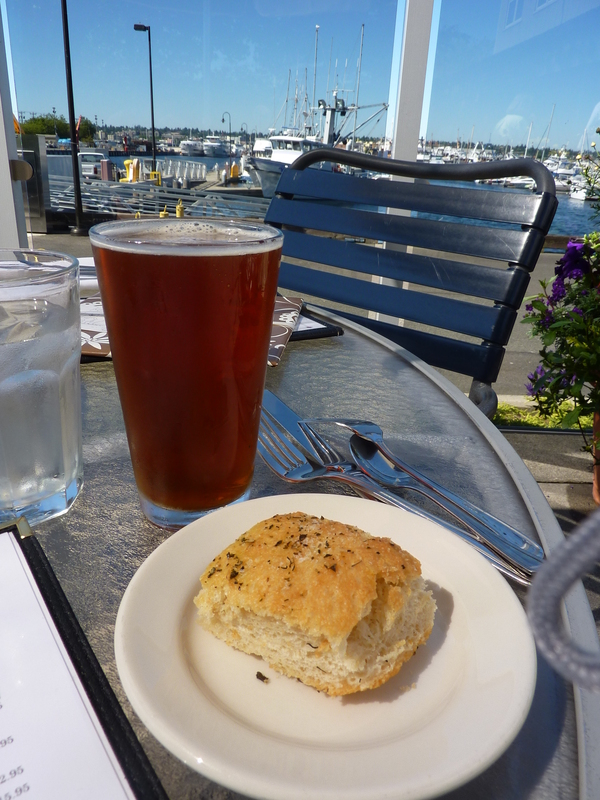 Little Chinook’s is also located at Fishermen’s Terminal…take your fish and chips or other orders to go…. Taqueria el Rincon – this is a taco truck but a taco truck at its best. 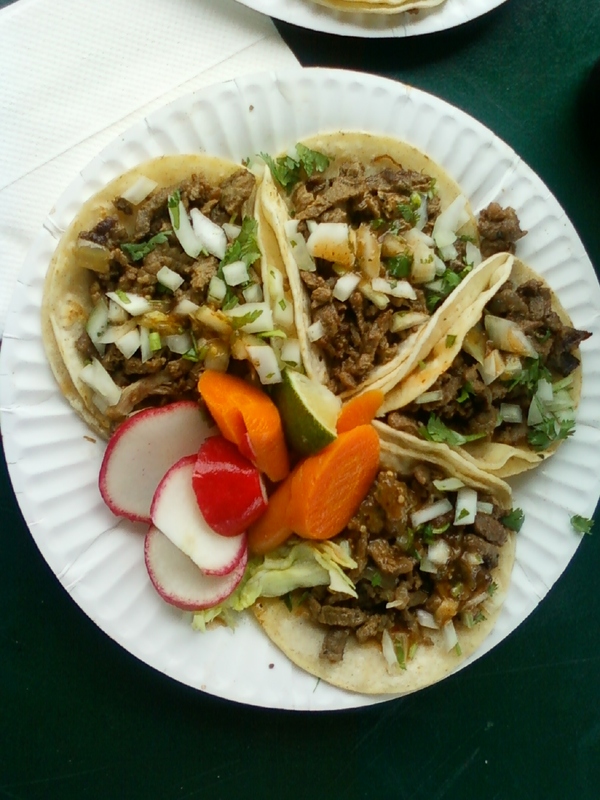 Located in the South Park neighborhood of Seattle (at the 76 gas station lot on 14th Ave S), you will find lines of those eager to get a taste of excellent Mexican cuisine. We chose Tacos @ $4.40 a plate…carne asada and spicy pork and finished off with a Mexican Coca-Cola (made with real sugar). It did not fail to satisfy. I would like to try some of the other plates as well such as the authentic Sopas and Tortas. All Things Wine – this isn’t exactly dining, but wanted to give it a mention. Located in the Renton Highlands, visit All Things Wine for a great selection of wine and wine related gifts. They have wine and beer tastings on Wednesday evenings and Saturday afternoons should you want to try a new or old favorite. Wayne is a great guy and will find you what you need if not in the store (visit anytime but Wayne can be found there mostly on evenings and weekends). They just celebrated their 3rd Anniversary – Fort Walla Walla, Windy Point Vineyards, Robert Karl, Covington Cellars, Ironhorse Brewery, Three Skulls Brewery, Masset Winery and Barrister Winery were being poured. http://www.allthingswineonline.com/article.espx?SHOW=12263 All Things Wine also has a wine club…sign up! Harbor Square Wine Shop – as you exit off the Bainbridge Island ferry run…definitely stop in at the Harbor Square Wine Shop. It has a nice selection of wine as well as specialty gift or decor items for purchase. We purchased an Encircle Cork Cage – love it! They also have t-shirts and other gift items. Jeff is a great one to talk to with regards to pairings and you can do that over a glass of wine (as they serve wine by the glass as well as sell wine by the bottle). Another trip will include more outings…maybe Port Townsend, a stop in Chimacum Cafe or head to Quilcene for the Olympic Music Festival…chamber music in the barn (or out on the grounds) http://www.olympicmusicfestival.org/ , Sequim http://www.visitsun.com/ …visit the Dungeness National Wildlife Refuge or Sequim Lavender Festival http://www.lavenderfestival.com/ or maybe a hike at Hurricane Ridge. 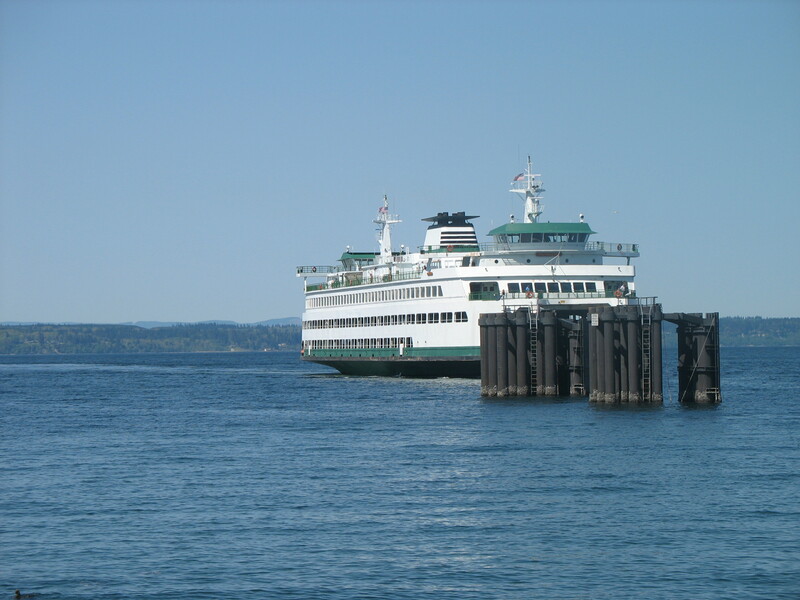 The last stop on this outing was Port Angeles. We had dinner at Bella Italia which is currently a hot spot for Twilight fans as this restaurant is where Bella and Edward had their first date. Their dish is also on the menu…Bella’s Mushroom Ravioli though we ordered other house specialties. http://www.bellaitaliapa.com/ . In the future, we will include the Dungeness Crab and Seafood Festival – annually in October http://www.crabfestival.org/ …a great time to plan ahead for. 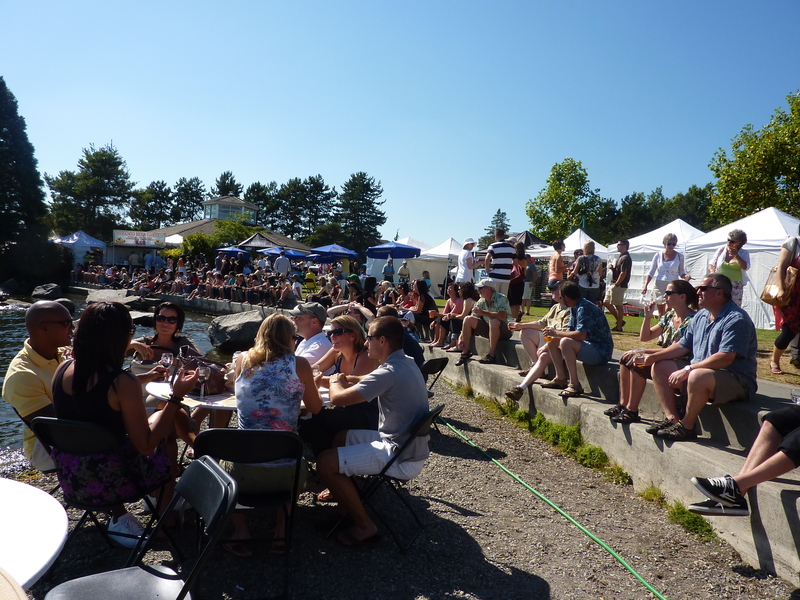 7/17 – Kirkland Uncorked – 17 wineries, Pyramid Brewery, live music, restaurant sampling, art, boat show, cook/grill off, 75 degrees, sunny, sparkling Lake Washington waters…benefiting the Hope Heart Institute – good times! La Conner, WA (see April 2010 posting as well) – did not fail to impress once again. Did you know that La Conner has great viewing for fireworks? It does! Every 4th of July, it has a small local parade…over in about five minutes mind you 🙂 and starting at 10 pm (officially), fireworks can be seen along the waterfront in La Conner which is across the channel from the tribal land where the fireworks display originates. We were entertained for a couple hours with a variety of differing “unofficial” displays of fireworks from a number of different spots across the channel. We purchased wine and a cheese tray from Hellams Vineyard (which has an extensive selection of great Washington wines) and brought our own picnic which we shared with friends at a waterfront location…even better if you have a friend who can dock their boat along the pier. Snow Goose Produce – Whether it be on your way into town, out of town, or a detour off of I-5…this is a destination spot! Wow! This is the place to go for good quality…specialty cheese, landjaegers and specialty meats, salmon, produce, plants, “immodest” ice cream cones, fresh berries, cherries, bread, crackers, jewelry (at certain times during the year), woven baskets, fresh fish market, worldly goods and a wine section (mostly less expensive). We enjoyed the specialty marionberry lemon and berry drinks. Suggestion: Stop! Calico Cupboard Cafe – Hefty portions, homestyle food. Boasts bakery items all day. Breakfast included the Fisherman’s Breakfast and Breakfast Sampler. http://www.calicocupboardcafe.com/laconner.cfm A breakfast sandwich (sourdough bread, canadian bacon, one egg, and cheese…definitely satisfying) was had at La Conner Fruit and Produce Market – located on First Street as well. Pictures were taken of hay bales and other while on a road trip to Deception Pass (see post). On the way back, we stopped by the Berry Barn and purchased the best Marionberry pie EVER! and gift for a friend. The Berry Barn has a nice mixture of snacks, antiques, and country-inspired crafts. Berry Barn offers whole pies and petite/half pies – strawberry-rhubarb, bumbleberry, apple, marionberry, and others. All I can say is DELICIOUS! It is certainly worth the trip no matter where you are coming from. http://www.lingonberry.com/ We also stopped by the Prime Outlets in Burlington and Skagit Valley Produce. Shopping around La Conner is also fun as a sampling is available. I usually like to make a stop in the slightly upscale Go Outside. Culture and local art can be found here…many galleries and specialty shops. The Northwest Museum of Art is really a must-see – the museum is recommended, but just stopping my the Museum Store is well worth it. http://www.museumofnwart.org/ It is open daily (except Thanksgiving and Christmas Day). You will most certainly find a gift here! I know I did. Located at Smokey Point in Marysville, just off of I-5, exit 206, visit The Plant Farm. It has a wide range of plants, herbs, shrubs, trees, and a variety of garden supplies to make your yard, deck, or property look just right whatever the season. http://www.theplantfarm.com/ Join their Garden Club and be rewarded. Oh…and their hanging baskets – love ’em!!! Although I have written of this before (see May 2010), I needed to add to it as the experience was again a good one. Prior to the July 8th Seattle Mariners game vs. the New York Yankees, we had starters at Elysian Fields. Recommendations: 1) Side: French Fries 2) Starter: Oasis Plate – Hummus, Baba Ganouj, cucumber salad, grilled pita. The cucumber salad is wonderful – nice chunks of tomato, feta cheese, cucumber. So good I had to mention it. 3) Starter: Fried Goat Cheese – rosemary honey, red pepper coulis, grilled baguette – YUM!!!! It is also served with greens that has a delicious balsamic dressing. Delectable! 4) Men’s Room Original Red – and for the fans… it is being served in other establishments around the Puget Sound area and is now being bottled. The weather was great for baseball in the summertime. 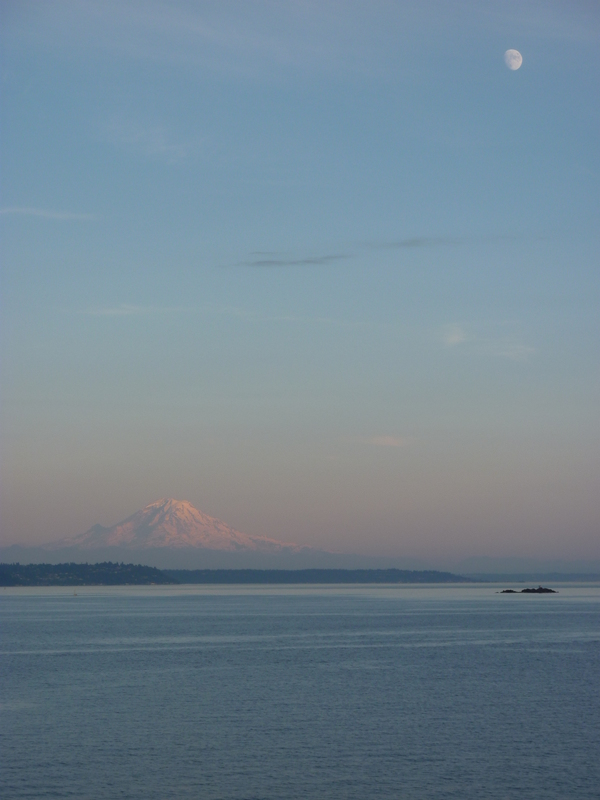 Did you ever hear that summer starts July 5th in the Seattle area? It is true much of the time. On this day, it was our hottest day yet…but still comfortable. We were sitting behind right field where Nick Swisher was playing for the Yankees. I am not a Yankee fan but am a Nick Swisher fan. I was wearing my Oakland Athletics 33 Swisher t-shirt…I stood up and yelled…Hey Swish! He looked, smiled, and tipped his hat…now that was cool! It made my night. A shout out must also be given to the staff at Safeco Field – my sunglasses of five years (purchased in NYC), fell from my purse and one of the clean-up crew actually turned them in to lost and found! How great is that! Deception Pass consists of Bowman Bay, Rosario Beach, Deception Pass bridge, and Deception Pass State Park. One of the most beautiful places on earth in my opinion…even on a cloudy day. The Deception Pass Bridge is a scenic wonder with views of the Puget Sound and the Pass. 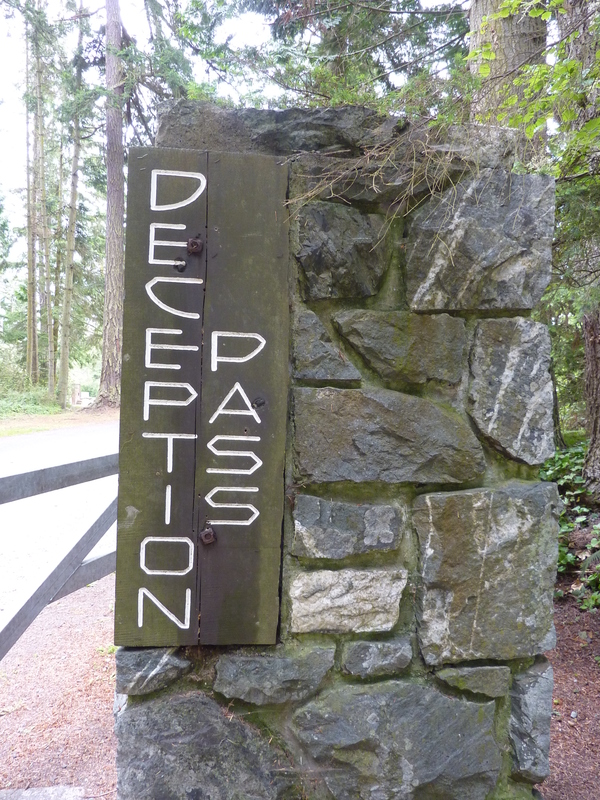 Deception Pass is known as a deep turbulent passage that links Whidbey Island (another future post) and Fidalgo Island which then connects to Hwy 20/Anacortes area. Picnicking can be had at all the stops here. Most areas have BBQ’s and tables. Some covered units can be reserved for larger parties. There are many trails for walks/hikes, a swimming hole at Deception Pass State Park, and camping (tent and RV) at both Cranberry Lake (DPSP) and Bowman Bay (limited) – year round. 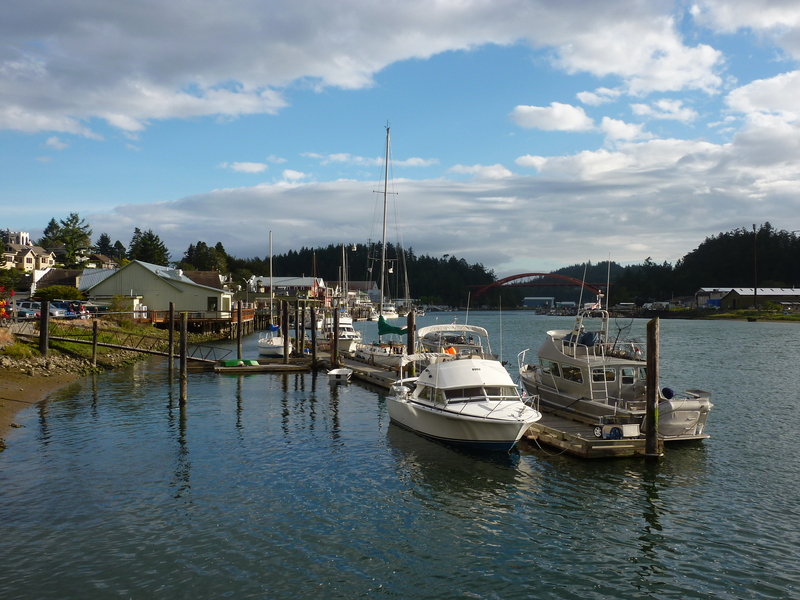 Rent kayaks or launch your boat at Bowman Bay, a saltwater marine park. Fish at Cranberry Lake. A Visitors Information stand is located at the parking area at the bridge. At Bowman Bay, visit the interpretive center which is named (and renovated) by Civilian Conservation Corps (CCC) – it provides interesting historical information about the CCC and area. My favorite is Rosario Beach. This beach has beautiful rocky/pebbled beaches (all shapes, sizes, styles) with tidepools to entertain – you’ll spot sea urchins and hermit crabs. The Maiden of Deception Pass story pole is located here…and depicts a story of the Samish Indian Nation. It’s a great place for kids to learn about marine life. It’s a place for adults to explore …or enjoy the sites and serenity of nature. 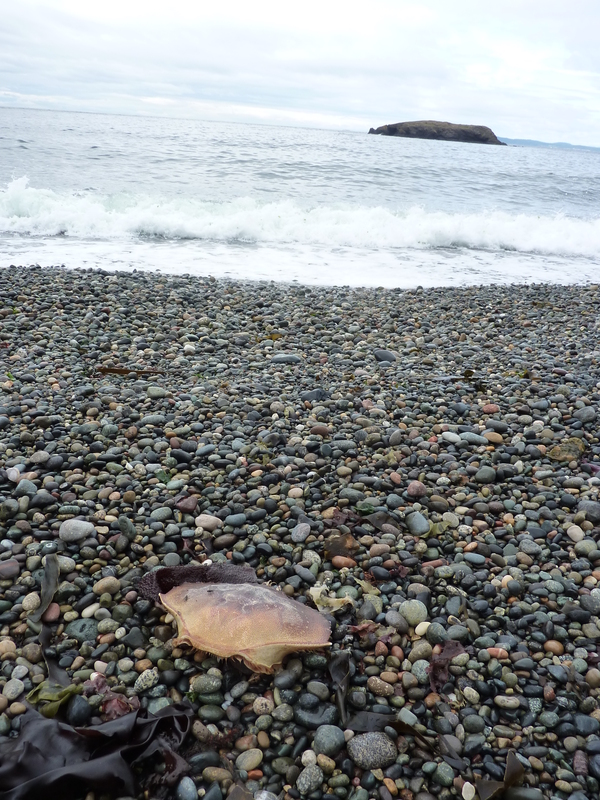 Rosario Beach Marine Laboratory, owned and operated by Walla Walla University is also located there – offering classes and a summer camp.